Gamm Vert is a chain of stores dedicated to green spaces and gardening. There are over 991 shops, 1.150 million square metter of retail spaces, which are distributed throughout the French territory and has 4.500 employees. 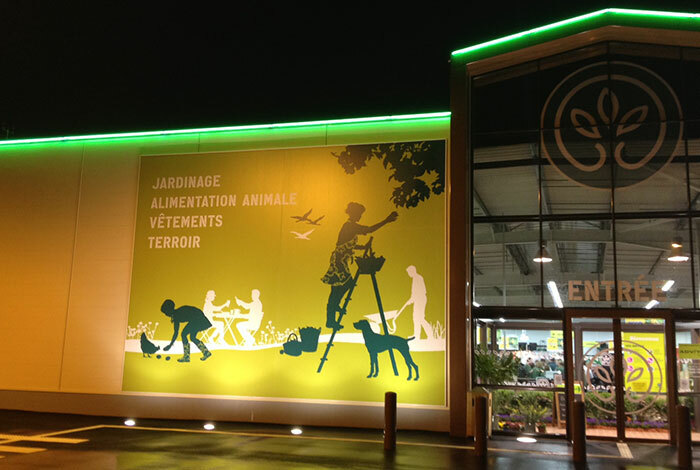 Gamm Vert is one of the major trading centres for gardening products in France, with a turnover of over one billion euros. 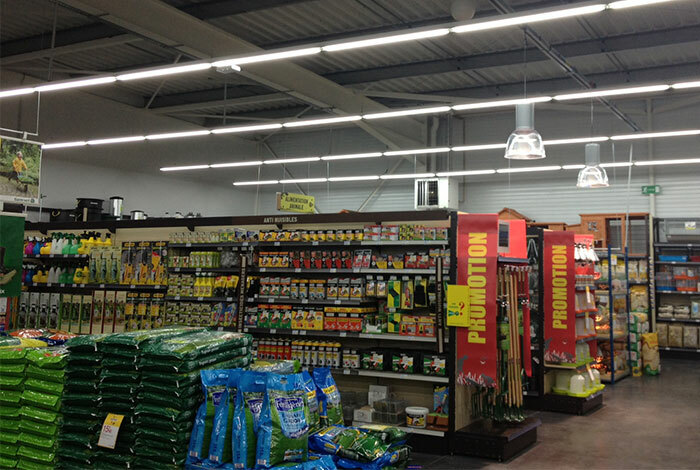 The store Gamm Vert in Bailleul, France made a remodelling with more sustainable and environmentally friendly. The lighting design for the Gamm Vert in Bailleul, France included the range of products Indelague, with high performance, MPF249RPL and IT-HPF249RLP.